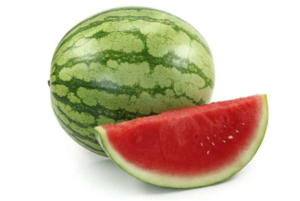 Watermelon: Watermelons that sound hollow but feel heavy are what you're searching for! These delicious melons have significant amounts of vitamin C, calcium, magnesium, fiber, protein, and a large amount of potassium. All of these vitamins and nutrients support a healthy heart, are a great source of energy and water, prevent exhaustion and heat stroke, support kidney health and help support digestion. 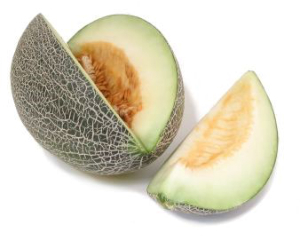 Honeydew: These large, choice melons have either green or orange flesh. They are loaded with Vitamin C, low in calories and have zero fat, a perfect diet food! They will ripen on your counter in a few days. 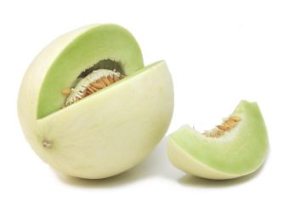 A perfectly ripe honeydew will yield just a bit to pressure at the blossom end and have a sticky, velvety rind. Cantaloupe: Cantaloupe is loaded with all the essential nutrients that are required for a healthy lifestyle. 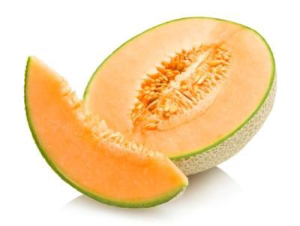 Just one cup of cantaloupe contains around 50 calories and 90% water. Moreover, the fruit is packed with sufficient amounts of potassium, beta-carotene, folic acid, magnesium, dietary fiber and many antioxidants. Being a fantastic summer fruit, it helps to ward off dehydration effects during hot days of the year. Sharlyn: When ripe, this has an orange background with green netting. It's very perishable, so don't wait more than two days after getting it home to eat it. They are packed with vitamins A (100% daily requirement) and vitamin C.